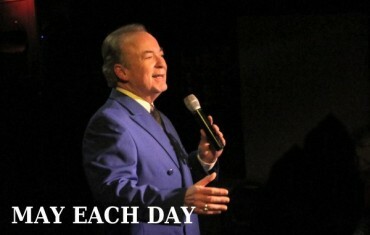 The Chuck Gillespie Tribute to Andy Williams is an entertaining 90-minute look at the music that The Greatest Generation and their Baby Boomer offspring could enjoy, watching Andy’s classic NBC Variety Show together from living rooms across America, or putting an LP on the family Hi-Fi. From a humble, Depression-Era beginning in small-town Iowa to the heights of worldwide acclaim, Andy Williams sang the songs of life, love, and living the American Experience. His story illustrates how hard work, loads of talent, timing, and a bit of good fortune can propel a man through a life of quality, integrity, and faith. I wanted to tell his story in words and song. With his passing in the Fall of 2012, Andy Williams left a tremendous catalog of wonderful music. Several years in the making, my tribute to Andy Williams tells the story of this Iowa lad with a golden tenor voice. 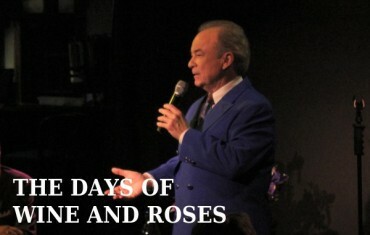 Featuring the meaningful songs of his amazing career; Canadian Sunset, Hawaiian Wedding Song, Can’t Get Used to Losing You, The Days of Wine and Roses, Theme from Love Story, Moon River and many more, wrapped in a fascinating and informative narrative of his journey, triumphs, and heartaches. 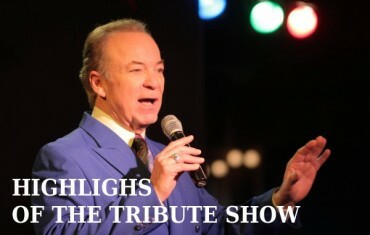 The Chuck Gillespie Tribute to Andy Williams is available for your theater, cruise ship, or entertainment venue. As a youngster, I was always singing for the family. But I was very shy. Usually I would stand in another room, and in my pre-pubescent boy’s soprano, I would sing something out of the Methodist Hymnal. At night, after supper, I’d usually be horizontal on the living room carpet, mom and dad in their respective easy chairs, the black and white console TV tuned to a great American Variety Show, starring a great American singer. There, in the glow of a 27-inch box of tubes, would come the Great American Songbook through those 3-inch speakers. The sounds were wonderful! Night after night a switch and a dial would bring Perry, Dean, Pat, Ernie, Bing, Frank, and Andy into our home. The great orchestras, the great arrangers, the great songwriters came together every week to entertain the Gillespies and millions of others from coast to coast. Michael Jackson, Donny Osmond, and Andy Williams . All members of a talented, successful show business family, who also made it big on their own. 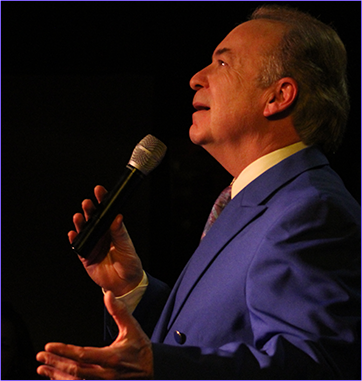 Chuck Gillespie in his one man show “A Tribute to Andy Williams”, has written and produced a most entertaining and enlightening 90 minute song and story performance that revisits the personal and professional history of Williams . Thoughtful, funny and melancholy the show explores rise to fame from his humble beginnings in rural Iowa to the glitz of Hollywood and everything in between. Chuck has done his homework to capture the incredible life and times of an American treasure. Bravo on a job well done !!! Tuesday Night was a night to remember. I knew nothing about Andy Williams, other than the easy listening music and Christmas Specials. 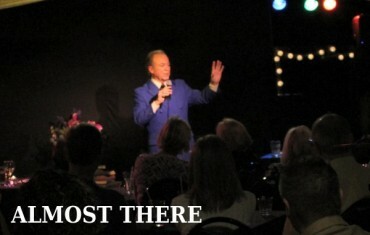 However in about 90 minutes, Chuck Gillespie performed his one man Andy Williams Tribute Show. Painting pictures with his spoken words, taking us at times to a “whole nother place” with his singing, Chuck told the story of Andy Williams through words and songs. His singing was flawless. He had us laughing, he put tears in our eyes, he was just amazing. I hope he does the show again here in Columbus. Judging by the long standing ovation, everyone in attendance would come back, and we would bring all of our friends with us! 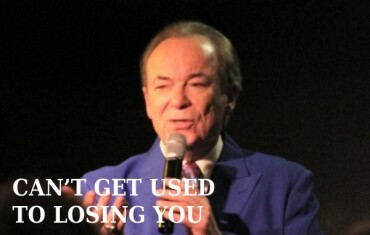 So enjoyed Chuck Gillespie’s Tribute to Andy Williams! What a captivating storyteller and vocalist! The song selections took my sister and I back in time, and he actually brought us to tears during “Dear Heart”. We had a great time! This week we had an opportunity to attend a show presented by Chuck Gillespie, which was his tribute to the great Andy Williams. Wow, what an evening! Chuck’s knowledge and flawless presentation of this man’s life and music, made it a very enjoyable evening. Chuck Gillespie‘s performance at 94th Aero last night was one of the most fantastic solo concerts I’ve ever attended!